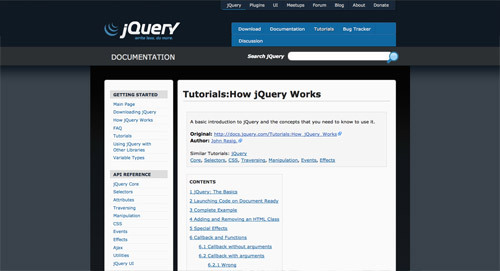 The official jQuery website is one of the best places to get started with jQuery. In the Tutorials section, there’s a thorough index of tutorials from beginner right through to advanced level. Check out How jQuery Works for a great introduction to the library, with documentation on the basics. 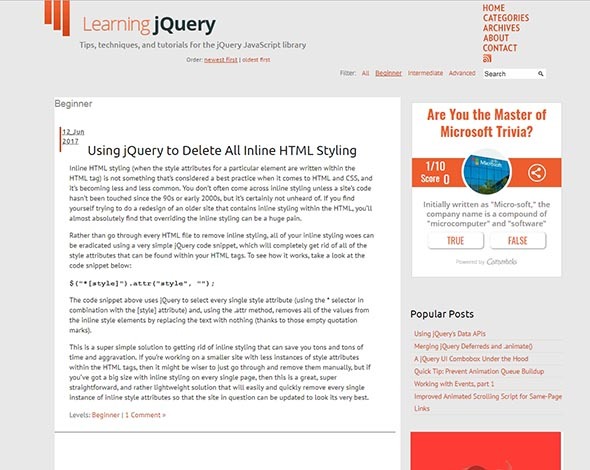 This particular article from WebDesignerWall was especially useful when I was learning the basics of jQuery. 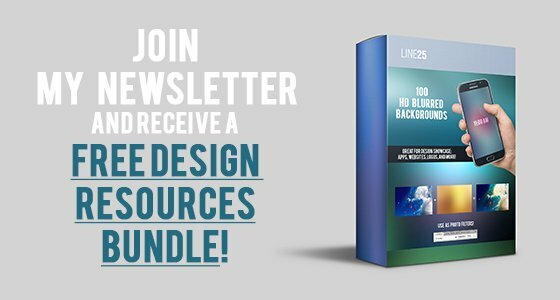 The hands-on projects show you how to build fancy and usable visual effects that you can implement right into your next design. 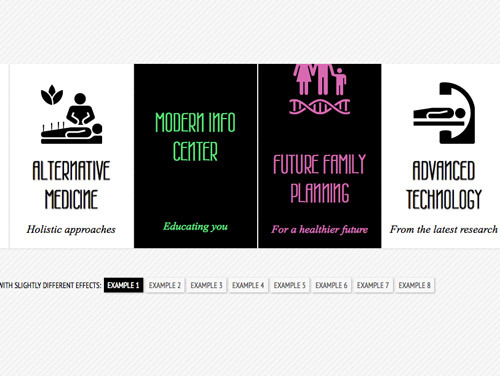 Learn how to create sliding panels, toggling messages and the ever popular accordion. Learning jQuery is another website built specifically for sharing tips, techniques, and tutorials for those wanting to master the jQuery library. The beginner category contains some in-depth articles on individual functions and popular effects. This fast paced article from Impressive Webs quickly runs through lots of nuggets of useful jQuery information, ranging from handy tips like linking to the remote jQuery source to quick overviews of basic operations and functions. 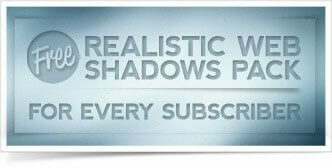 Chris Coyier has an excellent series of CSS and jQuery screencasts at CSS-Tricks. In this particular episode, Chris introduces us to the jQuery library and writes some great examples of simple functions that you can put into practice immediately as a beginner. 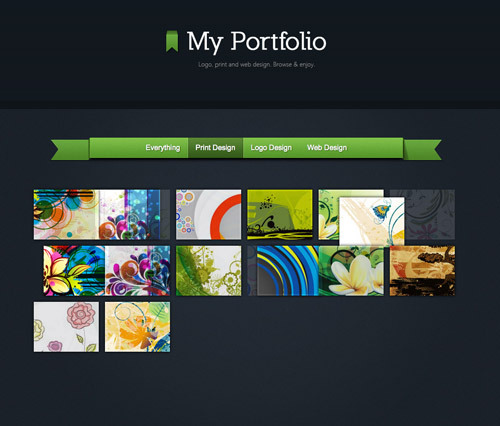 In this tutorial, you will learn how to make a beautiful HTML5 portfolio powered by jQuery. You will start by writing down the markup of a new HTML5 document, then use the Quicksand plugin to compare two unordered lists of items. Finally, it’s the step for styling the page itself. In this tutorial, you will create a gallery with scrollable thumbnails that slide out from a navigation and use jQuery and some CSS3 properties. You’ll use jQuery and some CSS3 properties. You’ll start with coding the HTML, which will consist of a wrapper and the menu list. Then, proceed to CSS and reset the paddings and margins for all elements. Next, in the jQuery function you will first define some variables. Learn how to create a menu with an animation feature on hover and how to change and animate the background color of the item. You will start with HTML by creating an unordered list where each list item will contain an anchor element. You’ll proceed to style the unordered list and give it a fixed width. Finally, since you are doing a plugin out of this, you will define the default settings first. Great starting point for beginners. Thanks! Nice Roundup! I desperately need t learn some jQuery. I just haven&apos;t had much time, but summers almost here! I&apos;ve bookmarked this post. Thanks! Nice article – a great jQuery roundup for beginners. Jquery has opened up so many possibilities we are using it a fair amount on our websites now to add that "extra something"
Great article… very well written. This is also nice post on jquery as it will clear many of question of sliding bars with news headlines in top of premium wp themes. I have seen some these already but most of the tutorials were new to me. Thanks <3 This is going to take all of my free time for next few days. Wow, this is great! I&apos;ve been learning pure JS as of late and have wanted to start to learn how to use jQuery because it seems to be THE framework to use. This is going to eat up hours of my life. Nice array of tutorials there. Thanks! Once again, Chris, you are the best! Thanks for including a couple of my articles on this list. Something I&apos;ve been wanting to learn more of is jQuery and I&apos;ve never known quite where to start – this is a perfect roundup, thanks very much! This is fantastic! Thanks, Chris! 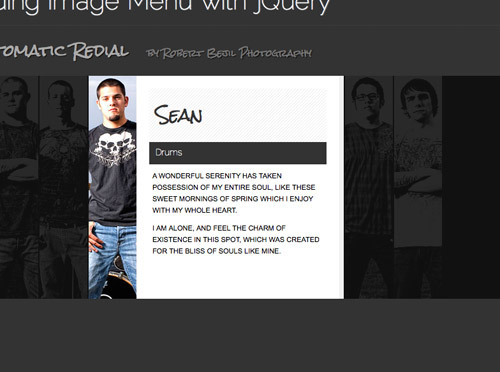 More great stuff Chris, im still playing around and learning jQuery so this is great info for me. Funny that, I was just looking into jQuery yesterday and I started with the first site on this list. These other links will help. Once again. On the money. Cheers! Just what I was looking for! Thanks! !